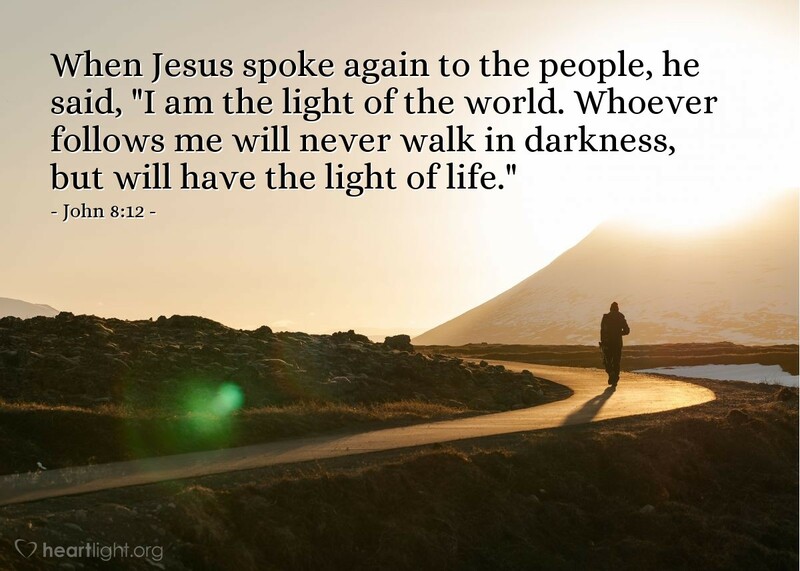 Are you walking in light or darkness? Can you clearly see your path, or do you find yourself stumbling along an uncertain path? Jesus wants us to boldly follow him. The way may not always be easy, but the destination is assured, and your way can be certain. Most of all, you won't ever have to have a night light — you're assured that even in the deepest darkness, you will have his light, the only light that gives life. Wonderful and tender Shepherd, please give me a faithful heart. Even in my deepest moments of darkness and despair, I want to be able to find your Light and to share his life with others. In the name of the One who is never darkness, Jesus the Light of the world, I pray. Amen.